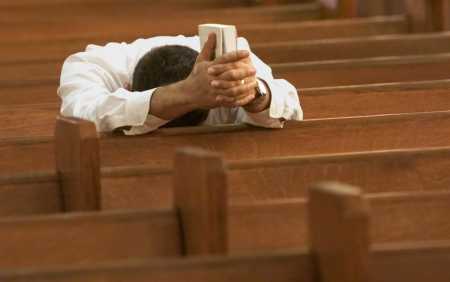 Luke 18:1….that men always ought to pray and not lose heart. I always use to wonder how a plane moves backward as it does not have a reverse gear. But recently, I visited the ramp in my work place, where I noticed the giant Boeing being pushed back by a small vehicle. This made me think that even though this B747 is a giant one…it still needs a pushback…to move, to fly. This is very realistic, if we compare this to our practical life. We always need someone or something to motivate or encourage us. I remember one of my colleague. When he was resigning, I asked him the reason for his resignation. He told me, “The office atmosphere is not motivating me”. So the situation or the surrounding in which he was working was not encouraging or not pushing him ahead to the level in which he wanted to be. Do you feel to work if your company doesn’t pay for 2 months?? ; If the management does not take heed to know your talents?? How many times, my beloved, you have been telling that there is no one to know you or to motivate you? You feel down, stubborn and disheartened when you’re really discouraged. And the people around you will provoke you more on the thing in which you are discouraged. Always remember, the discouragement starts within you. Don’t let the devil to overcome you. Resist him, and he will flee from you. You only need to resist him. But the devil is very cunning. He will hit those resisting power by bringing in discouragements mentally, financially and spiritually .The immune system of the human body has an ability to resist. But some of us still fall in sick, because these viruses hit that immune system and nullify the resisting power in you. So what you need to do to overcome this??? You thought right…. a medicine can heal you. But you could have overcome this before by taking precaution. That’s why it says “precaution is better than cure “. If you would had nutritious food to strengthen your immune system, these virus wouldn’t have attacked you…So like wise, you need to feed yourselves with Word of God, prayer and fasting to resist the devil. My subject for today is not “on motivation” or “on resisting”. I just shared how important it is to have someone to encourage you and how important it is to resist the devil. Well, the Rhema for today which God gave me is “Praying when you’re discouraged “. Hmmm… and I thank God for giving me this revelation to understand the Word of God. My brothers & sisters, I know that we can pray very well when everything sounds good and safe. We can add those beautiful words to our prayers. We can pray for hours, sing hymns etc., which is good. And God loves them. But what about when we are really down and discouraged?? Is it possible to pray?? Do you trust on the lord when you are really discouraged of things?? I would like to draw your attention to one lady in the Bible, who prayed, when she was really discouraged while her circumstances were really tough… Her name is Hannah (1 Samuel, Chapter 1, Old Testament). She had a very good, caring husband, who loved her more than anything. She use to get double portion from her husband. Having all this in her life, she still felt something empty, because she was barren. Does anyone who is reading this also feel like Hannah? Having everything in life… a good job, a good car, a good wife, a good husband but still feeling barren and empty. Does this emptiness discourage you?? Is this discouragement pulling you back?? Do you find it hard to worship, sing praises and even pray in such situations? See, when Hannah saw that she was barren, she was discouraged. And this discouragement was an encouragement for her rival to provoke her!! Don’t encourage your rival (Satan) to provoke you. It is we who give golden chances to the devil. I believe Hannah used to cry loud by seeing her barren situation. This gave her rival, a chance to provoke her purposely. But knowing this, Hannah started changing the style of her prayer ….You need to change you prayer if you want to see some changes. Now instead of praying loud, Hannah is praying in her heart… her lips is moving, but can’t hear the sound. Are you still following the same pattern of prayer for many years? If yes then I would encourage you to change it ask him like a child, seek him like a child, knock it so hard that it can be heard…Remember Our God is a living God !! Now Hannah’s prayerful life was in the second step. She is now learning how to pray. Actually her situations are teaching her to pray…We must thank God for such tests which come in our lives. It’s for good, my beloved. Once as I was driving my car, I found a traffic jam in certain place. And the line was too long .So I started following the cars…but when I saw the next lane, I was surprised because it was empty…so I got my car out of the lane in which I was and got into the empty lane. I was amazed! When I got into the next lane, I saw that all the cars which were in the other lane were following a Big Truck… This big truck was the hindrance, and the cars following really didn’t have a vision of the road ahead. Stop following what the devil is saying in your heart. Get out of that situation, and step forward to reach that level where God wants you to be. Remember, The Road ahead is clear and prayer can help you to get out of the situation which you are in…It’s the time to open your eyes. So, it’s not only the “encouragement” which can take you to the higher level, but “discouragement” can also teach you something… let us learn from Hannah. Discouragement started from her but that didn’t keep the hold on her. Later on, her rival started provoking her … still that didn’t stop her. If you go still further to 1 Samuel, chapter 1 and 2, you can see Eli, who failed to recognize Hannah. But even that did not affect her prayer. God will take you to that point where words of discouragement from the rival will not affect you.